The Motorola Titanium manual or user guide for sprint available for download directly at sprint official website. The Motorola Titanium manual comes in PDF format with file size is 15.69 MB, 173 pages and support in english language. The Motorola Titanium user guide provides detail information and instruction especially about troubleshooting problem for this phone. 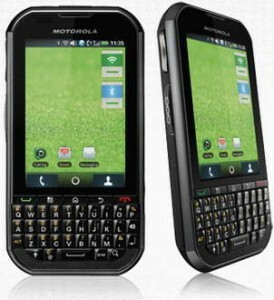 Moreover in the Motorola Titanium user manual also discuss about setting up service guide, setting phone, turn and off phone guide, messaging settings, using applications like web, micro SD card and settings, using bluetooth, using camera for taking photot, play music, maintenance, phone settings guide, and more. While for table of content from the Motorola Titanium owner manual read after pictures and Motorola Titanium specifications information below.